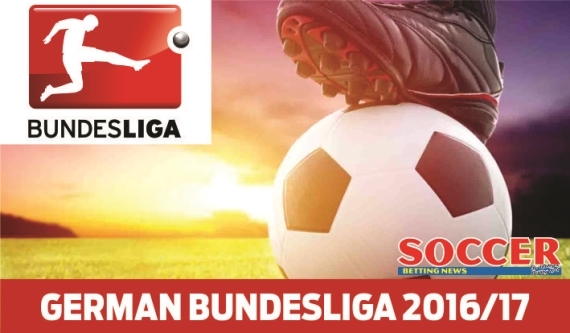 The German Bundesliga resumes with high-flying Borussia Dortmund hosting 8th-placed Freiburg. Another competitive week in Germany’s top division saw Bayern Munich take the lead of the league on goal difference with three wins in as many matches. Given the strength of quality in the Munich squad coupled with an enviable depth, it wouldn’t be a complete surprise if the club stays in the same position for the rest of the season. A set of midweek fixtures prior to this weekend (and prior to the time of writing) will put squads competing in Europe to the test. Perhaps the most surprising result came in Hamburg, with the home side trounced 4-0 by newly promoted Leipzig. The Red Bull franchise looks to have all the qualities needed for a second season in the Bundesliga. Dortmund followed up a 6-0 rout of Legia Warsaw in the Champions League by putting Darmstadt to the sword by the same scoreline at the weekend. The club looked to have put their 1-0 loss to Leipzig firmly behind them as they ran riot, following up Gonzalo Castro’s opener with a ruthless second-half display against the minnows. Freiburg were helpless to prevent a 3-0 loss on the road at Cologne, simply outclassed by a team now comfortable in the Bundesliga. Freiburg will face Hamburg in midweek and simply must find a way to collect at least a point from that match before facing Dortmund. Over 3.5 Goals at 17/20 is the tip; get on early. Mainz picked up their first win of the season at the weekend to move into the top half of the table. The 3-1 win in Augsburg wasn’t made easy, with the opposition pulling back an equaliser with time limited. However, Mainz found the back of the net two minutes later and then added another to provide the finishing touches to the performance. Leverkusen were beaten 2-1 by Frankfurt last weekend after Javier Hernandez missed a late penalty to miss out on a share of the spoils. It means that Leverkusen have made an inconsistent start to the season, losing two of their three matches to date. They’ll have a chance to add three points against Augsburg in midweek. However, I’m backing Mainz to get something from this match on the Double Chance at 6/10. Frankfurt beat Leverkusen to pick up their second win of the season last weekend, which will certainly fill their fans with joy after a nervous season in which they only just avoided relegation. Premier goalscorer Alex Meier put the Eagles in front early in the second half and Marco Fabian restored the lead after Leverkusen equalised. Hertha Berlin saw off Schalke to become the only club other than Bayern Munich to make a perfect start to the campaign. The Old Lady are looking to continue their success from last season and seem to have the quality to do so. Back the away win at 19/10. Although Augsburg lost 3-1 to Mainz at the weekend, it was a spirited performance to draw level in the second half. However, the side lost focus and celebrations were cut short as Mainz netted late on. Three points against Werder Bremen is all that Augsburg have to show so far, as they lost on opening day to Wolfsburg. Their midweek fixture against Leverkusen will be a huge test and they’ll be pleased to be back at home against Darmstadt. The Rhine club were hit for six against Dortmund and have made an inconsistent start to the season. Although they were truly outclassed by Dortmund, having captain Peter Niemeyer sent off left Darmstadt without any hope of recovery. This looks a fixture that Augsburg may target for a win and I’m tipping them to collect three points at 8/10. Hamburg left the Volksparkstadion to a chorus of boos from their home fans as the club were hammered 4-0 by Red Bull Leipzig. Hamburg held out for the first half in a rather cagey opening, before capitulating in the second half. Bayern Munich made it three league wins from three matches, and indeed six from six in all competitions as they beat Bavarian rivals Ingolstadt 3-1 in their last outing. The German giants were made to work for all three points, however, with Ingolstadt taking a surprise lead at the Allianz Arena. Lewandowski and Xabi Alonso gave Munich the lead, but nothing was certain until Rafinha’s goal in the 84th minute. No reason not to back them at 1/4, though. Monchengladbach bounced straight back from losses to Freiburg and Manchester City by beating Werder Bremen 4-1 last weekend. Thorgan Hazard struck twice in the opening stages before Raffael also netted a brace. Although Gladbach could not keep a clean sheet, it was a convincing win that will serve them well in this clash with Ingolstadt. The away side put up a spirited fight against Bayern Munich after netting the opener in the first 10 minutes of their 3-1 defeat. Playing on the counter, they were organised at the back and looked to break at pace. Although they’ll set up similarly against Monchengladbach, the home win is still the best bet at 11/20 for me. Viktor Skripnik became the first managerial casualty of the season after Werder Bremen lost 4-1 to Monchengladbach, the last straw in a series of calamitous performances. The club were knocked out in the DFB-Pokal first round before losing all three of their first league matches, conceding 12 goals and scoring just twice. After narrowly avoiding the drop last term, change was imminent. Wolfsburg were held to their second goalless draw in a row against Hoffenheim, Mario Gomez drawing another blank in his second match for Wolves. Gomes, as well as Julian Draxler, were guilty of missing chances in a match that wasn’t as dull as the scoreline suggests. I can’t bring myself to back Wolfsburg again and as such, Under 2.5 Goals is the tip at 12/10. Hoffenheim frustrated Wolfsburg to share the spoils last weekend and ensure that they picked up their third draw in as many matches. Sandro Wagner went close for the club but that was as good as it got in a match in which they relinquished a large about of the ball to the travelling squad. Schalke travelled to capital and left with nothing as they lost 2-0 to Hertha Berlin. Following such a bright set of pre-season fixtures, it’s perplexing that they’ve started bottom of the league, losing all three of their opening clashes. A Europa League triumph over Nice is the only consolation. They simply have to improve here and backing the away win at 14/10 is worth an outside bet. Cologne sit third on the table after going unbeaten in their first three matches with two wins and a draw. They comfortably beat Freiburg 3-0 at the weekend, Anthony Modeste and Leonardo Bittencourt scored twice within a minute of each other, Modeste netting his second before half time to put the result beyond doubt. Leipzig ran rampant in the second half of their match at Hamburg, securing a 4-0 triumph and proving emphatically that the club are not merely in the Bundesliga to make up the numbers. This will be an interesting encounter between two sides who have started the season strongly. Both Teams To Score seems a good bet at 13/20.